We understand that keeping your vehicles on the road is vital. Whether you run one car, van or a large corporate fleet of vehicles the A&D Group provide a range of maintenance packages designed to meet your needs. Ensuring that you can control costs whilst keeping your business on the road. 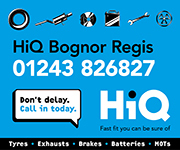 From our service centre situated in Bognor Regis, West Sussex, we are able to provide you with a complete fleet car and van repair service – all under one roof. We have the necessary capacity and experience to meet your business’ requirements, delivering fleet management services tailored to our clients’ specifications. To find out what we can do for you, just get in touch on 01243 870600 or email: hello@a-dgroup.co.uk.